Compare prices from several car hire companies in Granada Airport and find the best price for car rental. Our prices always include unlimited mileage and insurance. Granada airport is outside bears the official name of Federico García Lorca Granada-Jaen Airport (GRX), and it’s about. 15 km to the city of Granada. The buses follow the flight times and use about 45 minutes into town. It is also possible to take a taxi or rental car. From the airport follow the A-92 east, and this goes for each of the A-92G which leads straight to Granada. 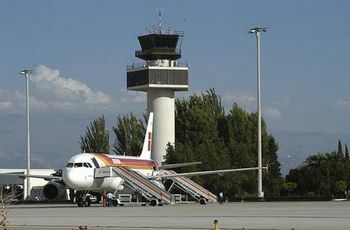 In 1972, opened the terminal building, and in 2007 it handled nearly 780,000 passengers.Airlines like Ryanair and Iberia operates here, and there are flights to include Madrid, Barcelona, Paris and Milan. Of facilities to buy food and drink at the airport cafe, and that one can shop souvenirs, snacks and beverages, tobacco and alcohol in a store.